Win the Formula 1 car racing. Аrrow keys control the car. and avoid turnover left or right. Avoid crushing into other cars on the autobahn. Drive the motorcycle on keep it on the truck. Movel the snow mobile and avoid obstacles and ice. Free online racing games about sports. The sport racing games are small flash games, up to 1 MB, including competitions and racing against othe players. They are mostly arcade games and games of chances played with the keyboard and testing fast clicking, mouse control and keyboard control. 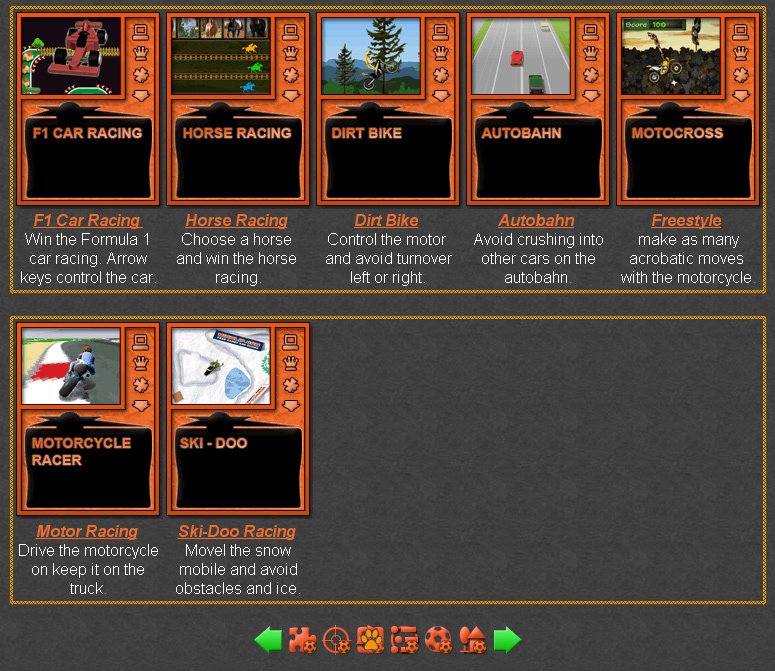 Fun Sport Racing Games Collection. 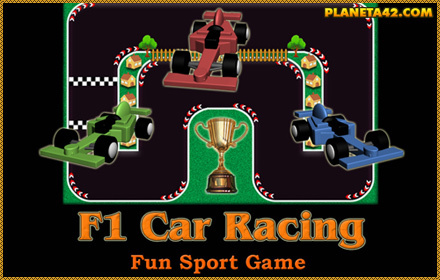 F1 Car Racing - Win the Formula 1 car racing. Use the arrow keys to control the F1 car. Horse Racing - Choose a horse and be faster than the other players using arrow keys. Dirt Bike - Use arrow keys to control the motor and avoid turnover left or right. Аutobahn - Use arrow keys and avoid crushing into other cars on the autobahn. Motocross Freestyle - Use arrow keys and make as many acrobatic moves with the motorcycle. Motorcycle Racing - Use left and right arrow keys to keep the motorcycle on the truck. Ski-Doo Racing - Use arrow keys to control the snowmobile. Avoid obstacles and ice areas.